Dr. Fanny Klett is Director of the German Workforce Advanced Distributed Learning Partnership Laboratory, which is run in cooperation with the US Government. Fanny Klett earned her Ph.D. in Electronic Media Technology from Ilmenau University of Technology. 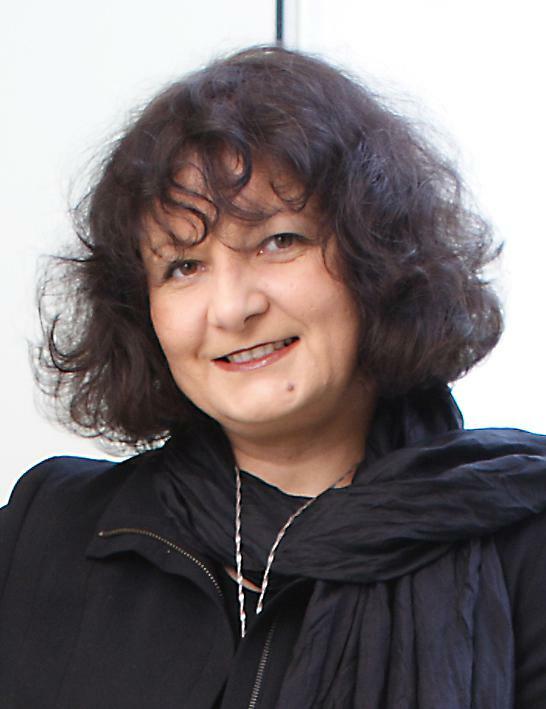 She was Visiting Scientist at the Graz University of Technology, and nowadays, she is regularly invited as Visiting Professor and Distinguished Lecturer at universities across Europe, Africa and Asia. Her research involves advanced ICT solutions in the areas of information, data and content management, competency and job performance management, assessment, knowledge management, data mining as well as metadata, repositories, data fusion and interoperability. 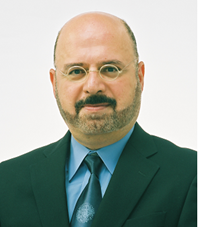 Dr. Klett actively works in standardization bodies such as the IEEE Learning Technology Standards Committee, the IEEE Standards Association, the US Advanced Distributed Learning Initiative, and the ISO. She is CEN WS-LT LTSO expert. 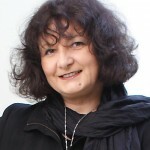 She is associated editor of IEEE publications, Member of the Advisory Board of the Knowledge Management and E-Learning International Journal as well as the Editorial Board of the Global Chinese Society for Computers in Education, and the Magazine of ELearning Distribution In Academy. In addition, she assists various governmental and industrial research and development sponsoring organizations Europe-wide, and in the US, as an expert. Dr. Klett is IEEE Fellow. She chaired and served on more than 30 conference planning and program committees of UNESCO, IEEE, APSCE, etc. Fanny Klett has been actively involved in IEEE Boards and Committees by representing also the IEEE Region 8 (Europe, Middle East, and Africa). In addition, she is Member of the Sponsor Executive Committee and Secretary of the IEEE Learning Technology Standards Committee, and Member of the Council and the Academic Board of the European Association for Education in Electrical and Information Engineering. Dr. Klett has published more than 90 technical and invited papers, white papers and book chapters, and has organized numerous Special Sessions, Workshops on information, data and knowledge sharing and standardization themes at leading international conferences worldwide. Abstract: Cities are expanding and increasingly suffering from rapid urbanization and demographic change. Accordingly, the governments experience a rising pressure to ensure sustainable economy, and a safe and friendly place for our and next generations to live and work, including qualified and retaining competitive workforce. This challenging development leads to looking at technology as the critical enabler to solve the growing urbanization issues and improve the cities’ environments in line with a set of priorities. Wireless and network technologies, the Internet of Things, cloud computing and artificial intelligence are only few of the solutions for products and services that are expected and applied to make the cities “smarter”, and comfortable in the context of transport, climate, food, energy, buildings, health, products, etc. The emerging Smart City concept refers to acknowledged initiatives, such as e-Home, e-Office, e-Government, e-Health, e-Education and e-Traffic, which nowadays create a common framework for the city’s performance. It is based on self-monitoring and self-response by combining server, clients and network infrastructures to enable the effective interconnection of the urban and businesses systems, allowing for intelligent adaptation to the citizens’ needs. The potential for Smart Cities adapted to the latest knowledge economy and the citizen-enabling use of digital technologies is considerable and there are essential chances when we can strengthen the understanding that people are the driver for innovation generating a sustainable regional as well as universal competitive advantage for the enterprises, and that businesses and academia need to modernize their approach to the citizens’ inclusion and immersion in education and services in the fast changing conditions of the global market. Utilizing our role to create a Smart World, this talk observes recent trends in Smart City developments and addresses the key challenge of Smart Cities, namely exploiting resources and improving inadequate infrastructures. It provides a variety of examples for specific Smart City actions in terms of education and human development aspects. Against this background, it covers strategies to support access to and use of information and data in heterogeneous educational and business environments by opening up new opportunities for design and delivery of education that is aligned with market demands and serves the new generation of the Smart Citizens. With an eye toward the establishment of an efficient repository services infrastructure in educational and business environments, seen in the light of sub-systems in the global information management system, new technological approaches to linked research, educational, training and work environments will be in the scope of the talk by showing technical models for sustainable services across the repository subsystems within the landscape of a wider information system in a highly interconnected networked environment constituted around various stakeholders. Further, the security risks caused by the Intranet and Internet related free access to services and data sources will be taken into account toward the consideration of proper access and network security mechanisms as a key system design requirement. Prof. Hamido Fujita is a professor at Iwate Prefectural University (IPU), Iwate, Japan, as a director of Intelligent Software Systems. 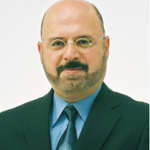 He is the Editor-in-Chief of Knowledge-Based Systems, Elsevier of impact factor (3.058) for 2013. He received Doctor Honoris Causa from O’buda University in 2013, and a title of Honorary Professor from O’buda University, Budapest, Hungary in 2011. He received Honorary scholar from University of Technology Sydney, Australia on 2012. He is Adjunct professor to Stockholm University, Sweden, University of Technology Sydney, National Taiwan Ocean University and others. He has supervised phD students jointly with University of Laval, Quebec, Canada; University of Technology, Sydney, Australia; Oregon State University (Corvallis), University of Paris 1 Pantheon-Sorbonne, France and University of Genoa, Italy. He has four international Patents in Software System and Several research projects with Japanese industry and partners. He is vice president of International Society of Applied Intelligence. He has given many keynotes in many prestigious international conferences on intelligent system and subjective intelligence. He headed a number of projects including Intelligent HCI, a project related to Mental Cloning as an intelligent user interface between human user and computers and SCOPE project on Virtual Doctor Systems for medical applications. Abstract: In decision making most approaches are taking into account objective criteria, however the subjective correlation among decision makers provided as preference utility is necessary to be presented to provide confidence preference additive among decision makers reducing ambiquity and produce better utility preferences measurement for subjective criteria among decision makers. Most models in Decision support systems are assuming criteria as independent. Therefore, these models are ranking alternatives based on objective data analysis. Also, different type of data (time series, linguistic values, interval data, etc.) imposes some difficulties to do decision making using classical multi criteria decision making models. Subjectiveness is related to the contextual form of criteria. Subjectiveness is contributing to provide knowledge and information on the criteria mental existence to integrate its appropriateness relationship with the objective criteria for better understanding of incomplete decision makers’ criteria setting. Uncertainty of some criteria in decision making is also considered as other inportant aspect to be taken care of, in decision making and decision support system based prediction. These draw backs in decision making are major research challenges that are attracting wide attention, like on big data analysis for risk prediction, medical diagnosis and other applications that are in practice more subjective to user situation and its knowledge related context. Subjectivity is an important aspect in data analysis in considering a specific situation bounded by user preferences. Subjectiveness is a set of criteria that are filtering or re-ordering the objective criteria for better fitness and appropriateness in decision making based on a situation prediction. Subjectivity would be examined based on correlations between different contextual structures that is reflecting the framework of personal context, for example in nearest neighbour based correlation analysis fashion. Some of the attributes incompleteness also may lead to affect the approximation accuracy. Attributes with preference-ordered domain relations properties become one aspect in ordering properties in rough approximations. The Virtual Doctor System (VDS) developed by my group is a system assisting human doctor who is practicing medical diagnosis in real situation and environment. The interoperability is represented by utilizing the medical diagnosis cases of medical doctor, represented in machine executable fashion based on human patient interaction with virtual avatar resembling a real doctor. VDS is practiced as a virtual avatar interacting with the human patient based on physical views and mental view analysis. In this talk I outline our VDS systems and then discuss related issues in subjective decision making in medical domain. Using fuzzy reasoning techniques in VDS, it has been shown that it is possible to provide better precision in circumstances that is related to partial known data and uncertainty on the acquisition of medical symptoms. We employed combination of Fuzzy geometric aggregation for attributes for respresenting Physical view of VDS (Subjective attributes). We propose harmonic fuzzy reasoning in mental view in VDS projected on cognitive emotional models representation using fuzzy reasoning model. These all are aligned and aggregated on medical knowledge base using different distance functions and entropy functions. The purpose is to derive the weight of related attributes from medical knowledge base and rank the preference order of the set of alternatves employing intuitionistic fuzzy similarity measures related to mental (Subjective) and physical (Objective) symptoms for decision making. A set of ideal solution is provided based on hamming distances fuzzy operators. The alignment is to provide an intelligent mapping between the mental view (Subjective) and physical view (Objective) based on fuzzy representation of each through different type of aggregation function. If the weights of some attributes are not known or partially known then we need to predict using patient preferences by looking to the subjective risks. 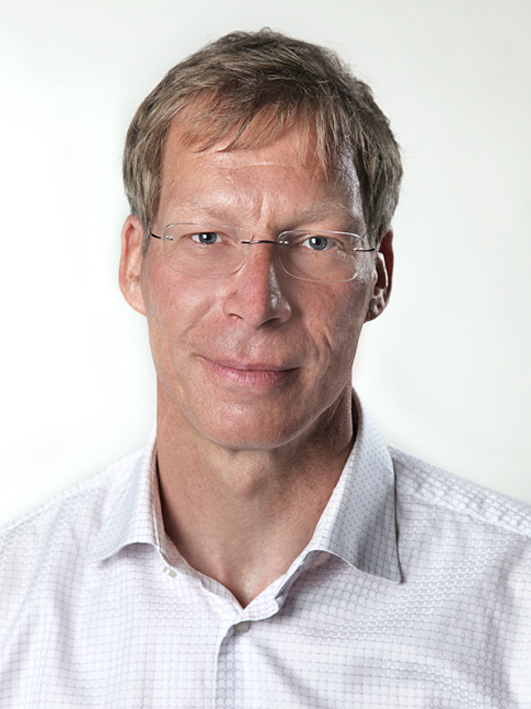 Prof. Olaf Wolkenhauer has made significant contributions to establishing and popularizing interdisciplinary approaches in Systems Biology, in Germany and Europe. He founded the first international journal of Systems Biology and was coordinator of the first EU-funded project on cancer systems biology. His position at the University of Rostock was the first professorship/chair dedicated to systems biology in Europe in July 2003. His two-semester Masters module in systems biology is probably the longest running course of its kind in Europe. Being a renowned lecturer, he has inspired and motivated young scientists from biology, medicine, computer science and mathematics to dedicate themselves to systems biology. 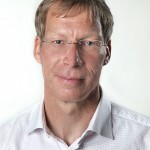 Olaf Wolkenhauer received his first degrees in control engineering from the University of Applied Sciences in Hamburg, Germany and the University of Portsmouth, followed by his PhD from the University of Manchester, Institute of Science & Technology (UMIST) for research on the application of possibility theory to data analysis. Olaf Wolkenhauer spent almost eleven years of his academic career in England and had one of the first joint appointments between a Dept. of Electrical Engineering and a Dept. of Biomolecular Sciences in the UK in 2000. His activities are reflected, amongst other things, by a long-standing visiting professorship at Case Western Reserve University, Cleveland, USA, which was initiated by Mihaijlo Mesarovic, the founding father of the general systems theory. In 2005, he became a lifelong fellow at the Stellenbosch Institute for Advanced Study (STIAS) and in April 2009, he received the Pioneer Award of the SPIE organisation for his achievements in the field of systems biology. Olaf Wolkenhauer was responsible for the scientific coordination of the specific support action “Systems Biology for Medical Applications” (SysBioMed), which led to European Science Foundation Science Policy Briefing No 35. On the initiative of the BMBF, he has thus fostered the implementation of systems biology approaches for medical applications as early as 2004. In 2010, he was asked by the European Commission to coordinate a meeting on ‘Systemic Medicine’. This provided the basis for current funding programmes in Systems Medicine and also led to the creation of CASyM, a programme providing a plan for the European Commission to implement systems medicine across Europe. His research publications in international peer-review journals cover a wide range of topics, from the development of new methodologies to handle data, the analysis of specific biological systems, to philosophical investigations about the complexity of living systems. Professor Wolkenhauer has published four books, including the research monograph “Possibility Theory with Applications to Data Analysis” (Wiley), the textbook “Data Engineering” (Wiley) and more recently the monograph “Stochastic Approaches for Systems Biology” (Springer). He was the editor for several other books, including volume “Systems Biology” was published as part of the Essays in Biochemistry Series with Portland Press, the Encylopedia of Systems Biology (Springer) and a recent book on MicroRNA Cancer Regulation (Springer). Abstract: Systems Biology is an approach by which biological questions are addressed through integrating experiments with computational modelling, simulation and theory. Following the successful implementation of systems biology approaches in basic research, Systems Medicine is a movement to address the complexity of diseases with the formation of interdisciplinary teams. A better diagnosis, prognosis and therapy of diseases will ultimately rely on our understanding of how biological function emerges from the interactions between the components of a living system, and how these emergent properties enable and constrain the behaviour of these components. This raises fundamental questions about our ability to understand living systems but also raises a number of technical challenges. A central aspect is the integration of data from a wide range of sources, including data from patients, the use of information from databases and the transfer of knowledge from basic research and experimental systems into a clinical context. Along the way, clinicians and biologists will collaborate with experts from bio-statistics, health informatics, bioinformatics, and systems biology. I am going to critically review the opportunities and for the engineering sciences at the life science interface. Professor at Nile University (NU), Center for Informatics Science. Dr. Samhaa R. El-Beltagy is currently a full Professor at Nile University (NU), Center for Informatics Science. She received her PhD in Computer Science from the University of Southhampton, UK in 2001, and her Masters and Bachelor degrees in Computer Science from the American University in Cairo in 1997 and 1993 respectively. 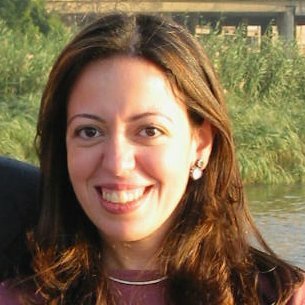 After completing her PhD, Dr. El-Beltagy has taken on technical leadership in numerous national development projects. In 2009, she was awarded the title of ACM senior member which recognizes “ACM members with at least 10 years of professional experience […] who have demonstrated performance that sets them apart from their peers”. It is worth noting that she is the first person with an Egyptian affiliation to have been awarded this title. She currently has over sixty refereed international publications and has served and continues to serve on the international program committees of numerous international conferences and workshops. She has also served as an external reviewer for a number of international journals, and national projects. Her research interests include: Text Mining, Social Media Analysis, Document auto-tagging, Ontology Population and Learning, Intelligent Search, Agent and Multi-agent based Systems and Frameworks, and Open and Adaptive Hypermedia. Abstract: The wide spread use of social media has resulted in an explosion of social data categorized by being big, noisy, and unstructured. Even without any processing, social media has changed the way we find, share and exchange, information. We now use social media for opinion sharing, keeping in touch with friends and family, news detection, traffic evasion, professional networking, medical assistance and much more. But aside from obvious uses, social data can be mined and exploited with an incredible benefit to ordinary users as well as to decision makers whether in the business, academic or political domains. The goal of this talk is to present a wide range of opportunities made possible by the availability of this rich resource. It also highlights the challenges and threats that can arise when mining this data both from a technical and a social perspective.